I met with Tony DiChario, who is the CEO and an old acquaintance of mine. The first thing my eyes went to was the MP-40P pistol in SBR form with its newly approved folding stock. Next up was a new version of the ATI .410 AR-15 with stainless steel barrel. 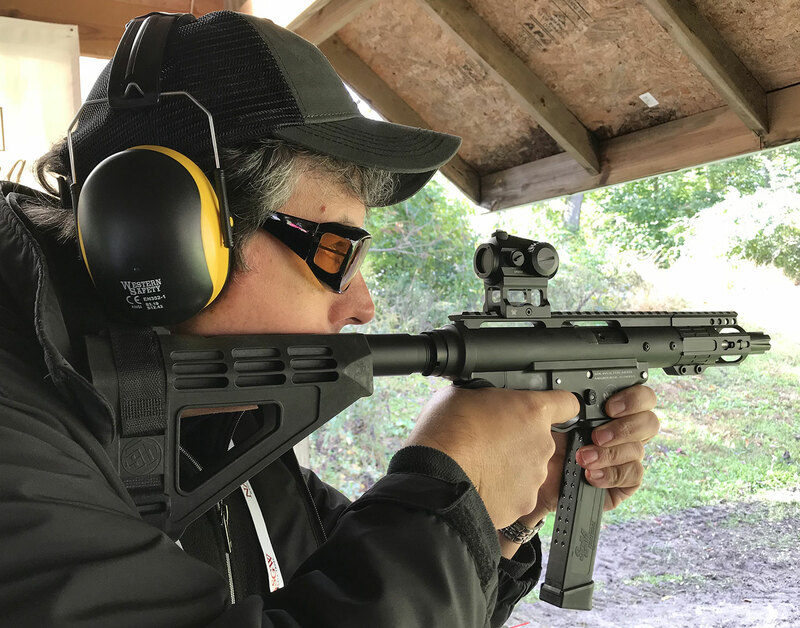 This is the latest version of the Omni .410 AR-15-type shotgun which we covered in an article by Scot Loveland in our MSR Hunting special issue #19 this year (be sure to check out the web version of the article here: //www.firearmsnews.com/editorial/review-ati-omni-hybrid-ar-15-410/316579 ). I was excited to shoot it, as my younger son took his first buck with the early version of this shotgun back in 2016. If you have any younger children who want to go deer hunting or bird hunting, this is a nice choice. Also, for you deer hunters out there in straight-walled rifle cartridge states, ATI has its own version of the .450 Bushmaster in an AR-15-type platform. 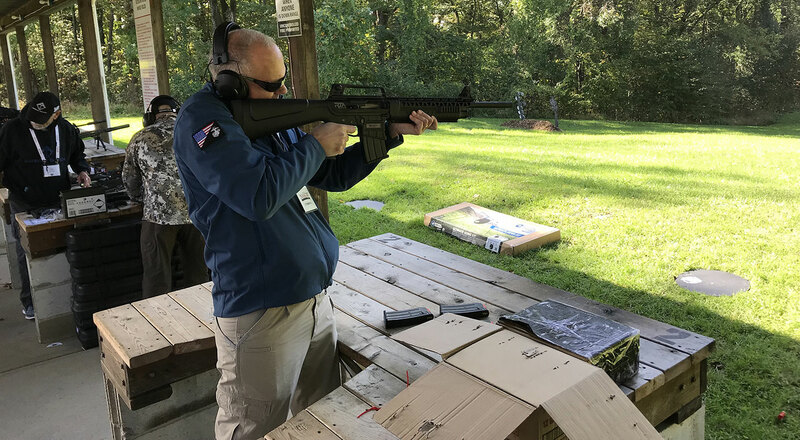 Tony gave me a little demo, and the rifle fired perfectly – only $699.99 MSRP! 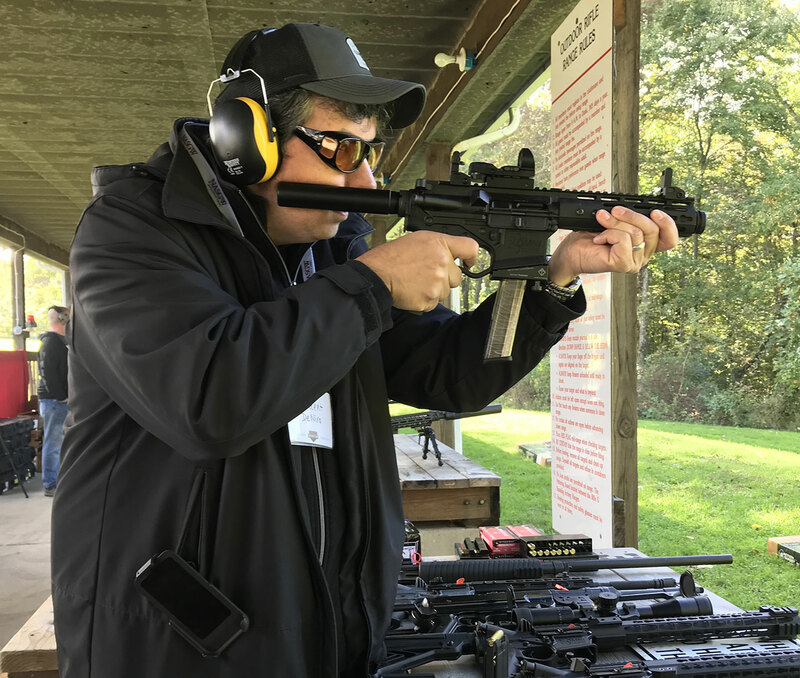 Tony then showed me a new Glock magazine conversion for AR-15-type firearms in 9mm which is of ATI’s own design, and I had a chance to fire it. No word yet as far as pricing on this brand-new item, but I’m sure that the price will be fantastic! 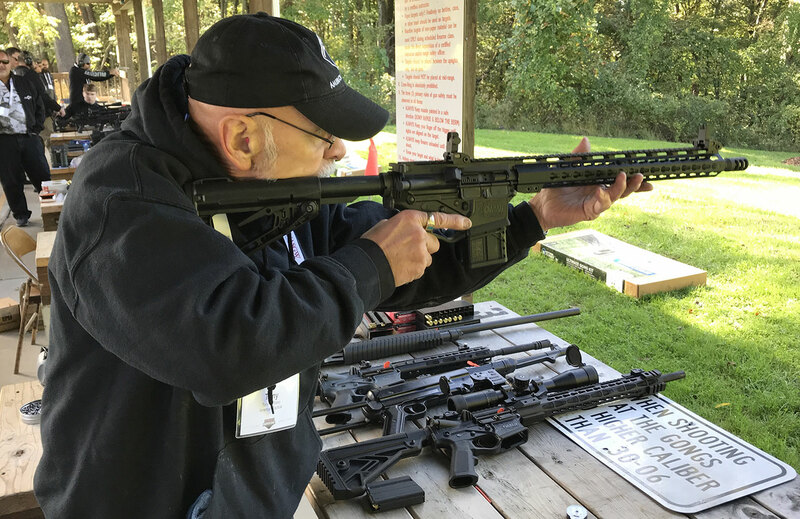 Being an AR-15 owner since the late 1970s, I am always exited to see what’s new at one of the most innovative AR-15-type rifle companies in the industry. 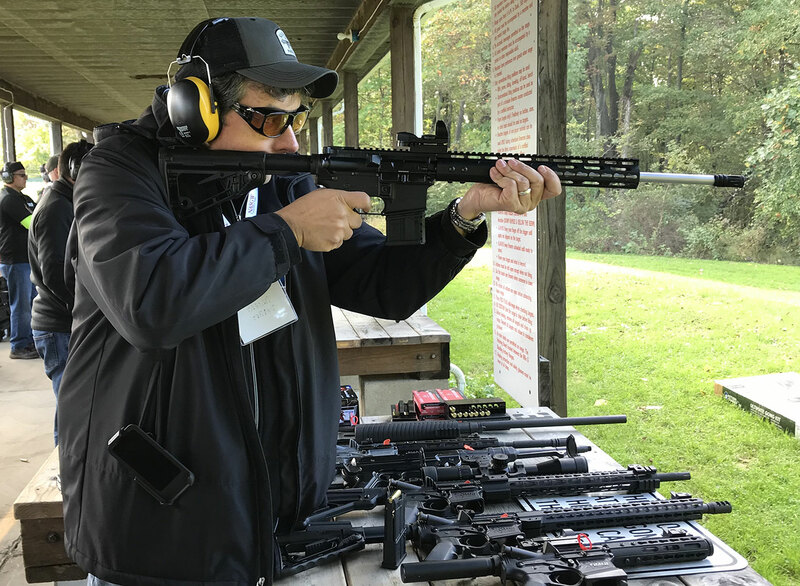 National Sales Director, John Piscione, and National Sales Manager, Tony Tarantino were on hand, as was one of the most pro-2nd Amendment gun company owners in the USA, Frank DeSomma, who was there in person showing off his fantastic rife line. Tony and John set me up with their newest rifle in the Revolution line, chambered in 6.5 Creedmor. For those of you not that familiar with this series, the Revolution series is an AR-15-sized rifle that fires calibers usually reserved for the larger AR-10 footprint. As usual, the POF rifle fired perfectly, and I could hit everything I aimed at. The trigger’s reset and pull was very much to my liking and one of the finest I have tried. I thought it was breaking at about two pounds, but John and Tony told me that it was set at about four. Be sure to check out POF, and I have heard that another exciting rifle is coming in 2019. 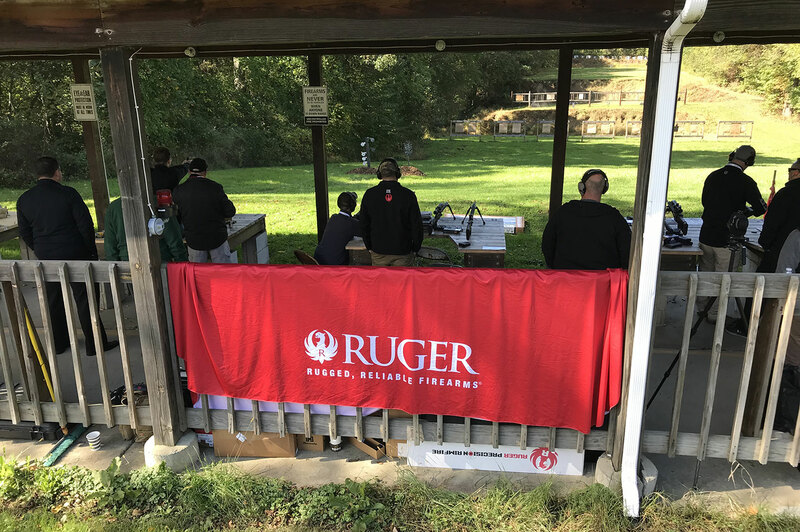 Ruger was at the range, but I didn’t get to try any of its great rifles, as its bench was very busy. Be sure to check out Ruger’s .450 Bushmaster scout rifle in an article by James Tarr in issue 22, as well as an article by Dr. Will Dabbs covering the .300 Blackout Ruger American in the same issue hitting the newsstands on November 20th. 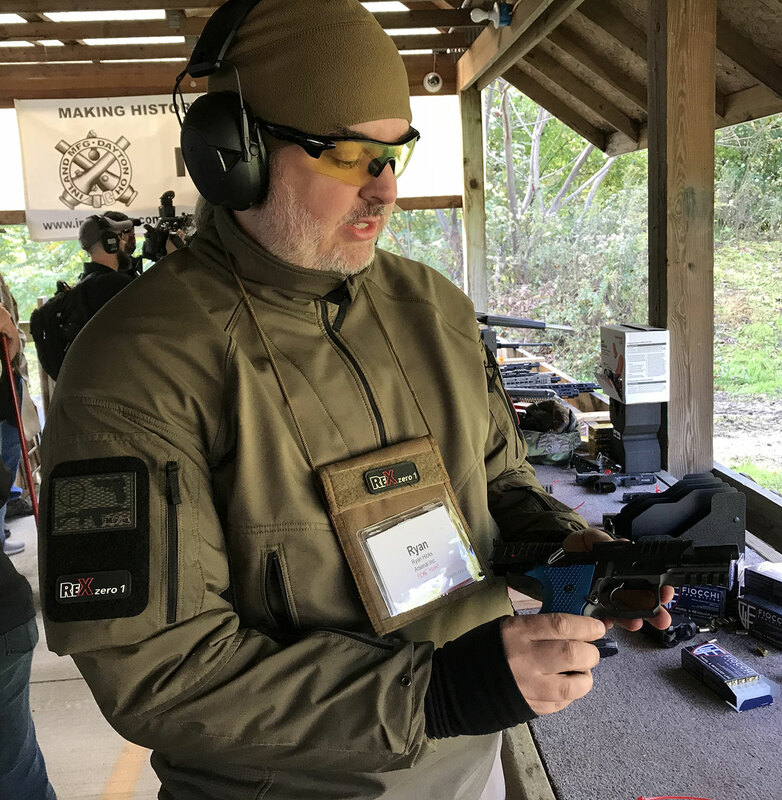 Full Conceal’s President/COO, Steve Pantalemon, was showing off his foldable Glocks as well as something new, a foldable Roni, which houses his Full Conceal Glock. After Steve went over the features with me, he handed me a magazine, and it was time to tag steel. Being a prepper since the early 1980s, I really like the way this system folds up. It's accurate and ready to fit in any size bug-out kit. If you are a Glock lover, you really need to take a look at this system. 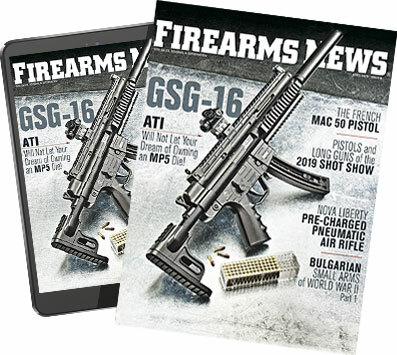 Jim Tarr got to play with this great Glock magazine conversion for AR-15-type firearms a few months ago, and you can read about the fun he had in issue 23, which hits the newsstands on December 4th. 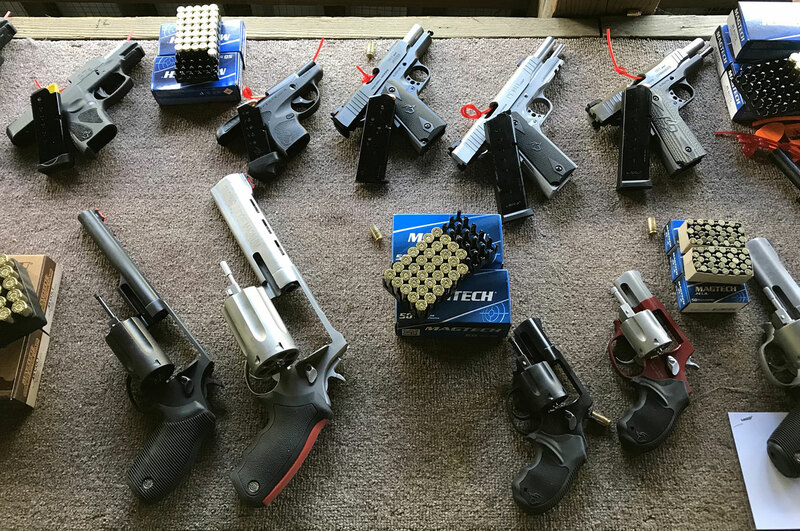 Co-Founder of Stern Defense, Andrea Beasley, explained her conversion system to me, and then it was time to rattle off some rounds. This is a great system, which is now on my buy list. 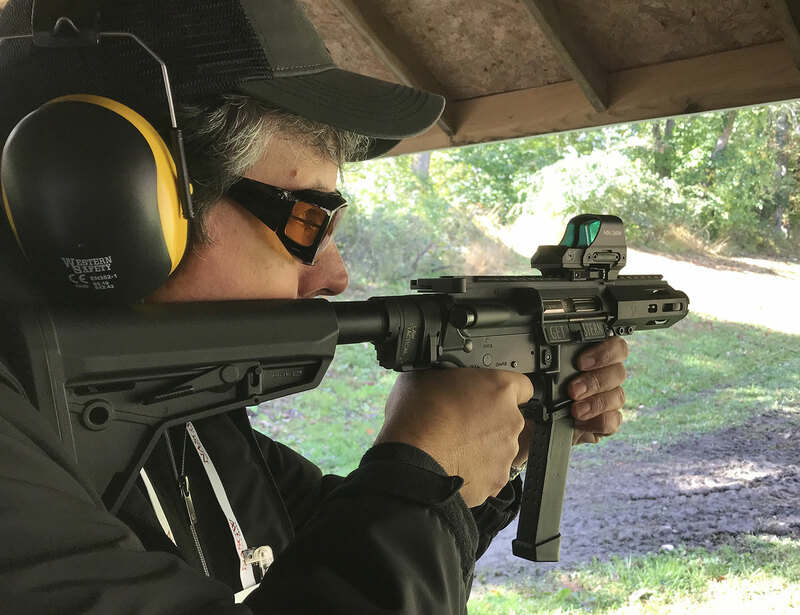 If you have an AR-15-type pistol or rifle, be sure to consider a 9mm conversion that is great on the wallet, as well as comfortable shooting practice for indoor ranges. This magazine conversion is just what you need when you decide to buy that 9mm upper. There is also a version coming out that accepts Beretta 90-series magazines – that one is for me! Taurus is the winner for largest handgun variety at the NASGW range day! It had many of its great and innovative handguns like the Raging Hunter, Judge, and snub-nosed series of revolvers. 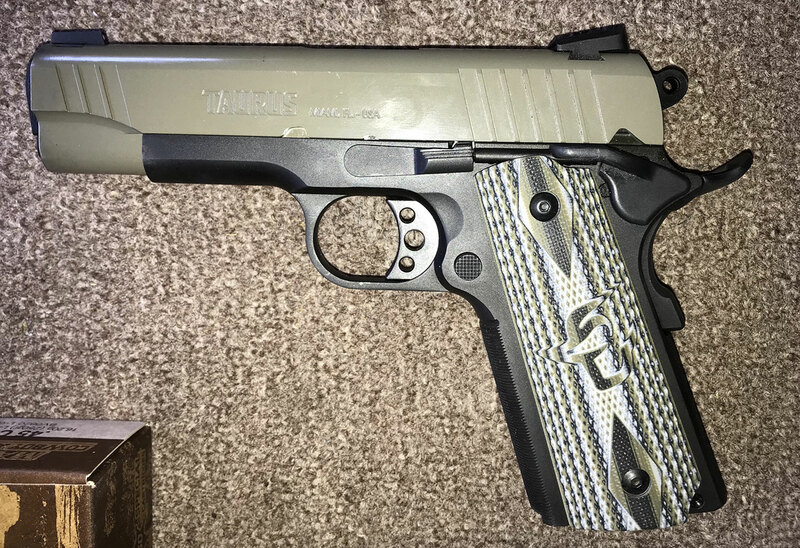 Taurus’ 1911s caught my eye, and I got to shoot a couple – accurate and affordable. There are some new models and finishes that will be announced for 2019, so be sure to keep an eye open for those. 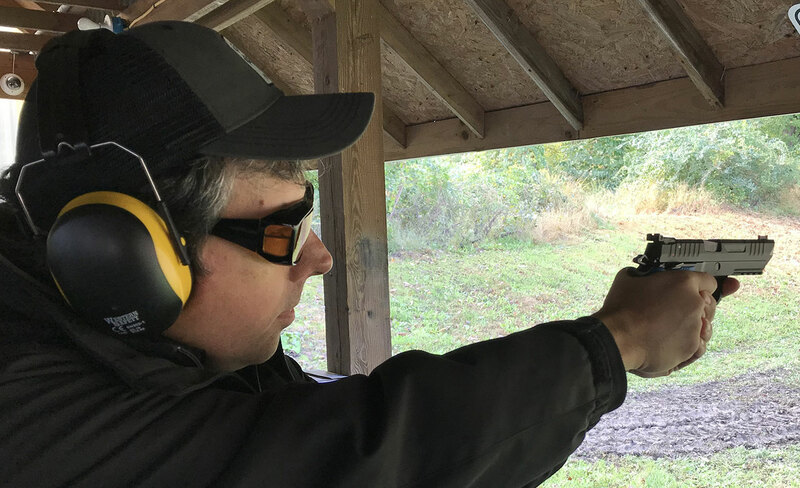 It isn’t every day (or every decade) that you get to handle, let alone shoot, a firearm that is VERY rare and well-known among firearm aficionados. More than 40 years ago, I read about the Atchisson Assault Shotgun designed by legendary firearms inventor Max Atchisson. Well, Sol Invictus now has the rights to the gun and will be offering a closed-bolt, semi-auto version in 2019! This is a big deal and too bad old Max isn’t around to see it. Marketing Director Michael Rivera handed me a loaded magazine and he must have seen a big smile on my face! I really enjoyed blasting away with it and would love to have one in my collection. MSRP will be around $3,000 – not a bad price for a legend! But my visit with them didn’t end there. Next Michael handed me a prototype of Sol Invictus’ new TAC-9 pistol. 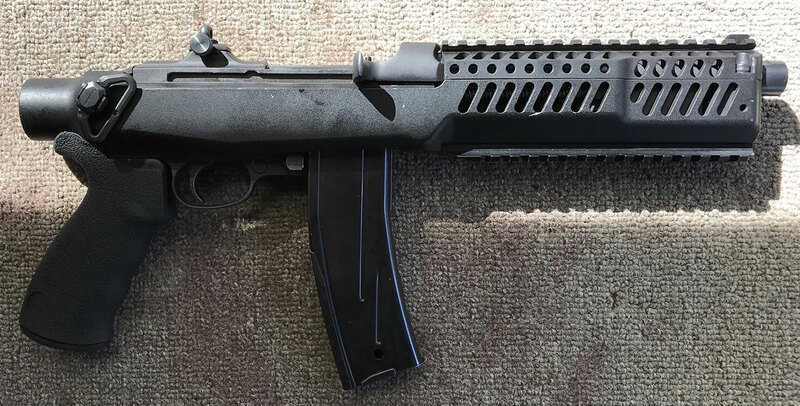 No, not a TEC-9, a TAC-9, which does use a bolt and receiver profile very similar to the famous KG-99/TEC-9-series of pistols, but this firearm has some differences, which include the ability to use Glock 9mm magazines and a coupler to attach AR-15 buffer tubes, stocks, and arm braces. Look for more information around SHOT Show. I also enjoyed shooting this one as well. Ryan Hicks of FIME Group had the Slovenian-made Rex Alpha pistol line. After going over some of the features of the pistols (I love metal guns! ), I asked to shoot the competition model. Wow, I am very impressed! One of the finest “out-of-the-box” triggers out there. If you want to shoot competition and just want to buy a gun ready to go, this one may be for you. I shot my first pistol competition in 1984 – I wish I had one of these back then! This will be the pistol company to look out for. Famous defense company RUAG was showing off some of its high-tech ammunition, in the form of an RNP copper-polymer matrix projectile, which is designed as range/target ammo and its ARX +P self-defense round. 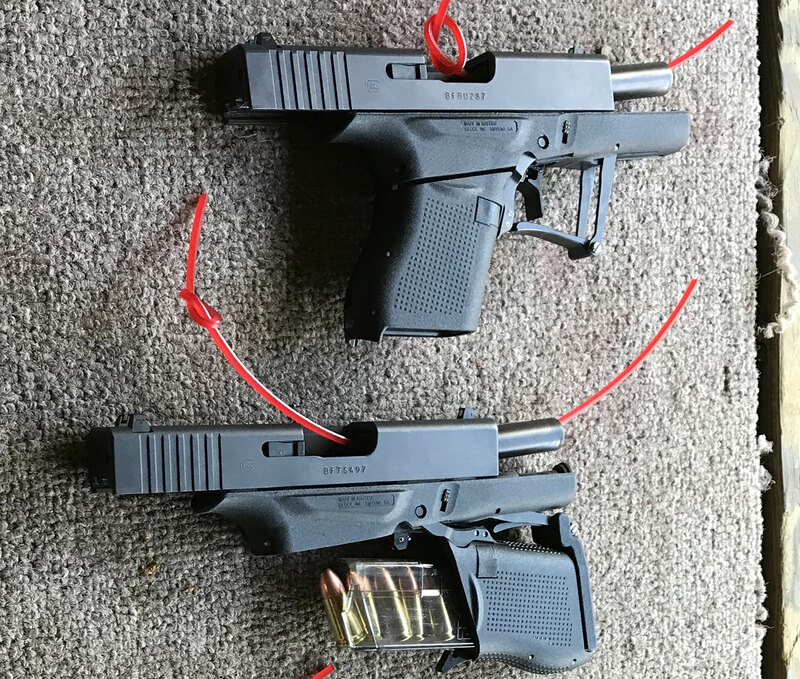 Both types were at the range in 9mm, and I tried both. The RNP is made to have softer recoil, and it was noticeable. RUAG is known for high quality and I expect that it will give the major ammunition companies a run for their money on premium handgun rounds. 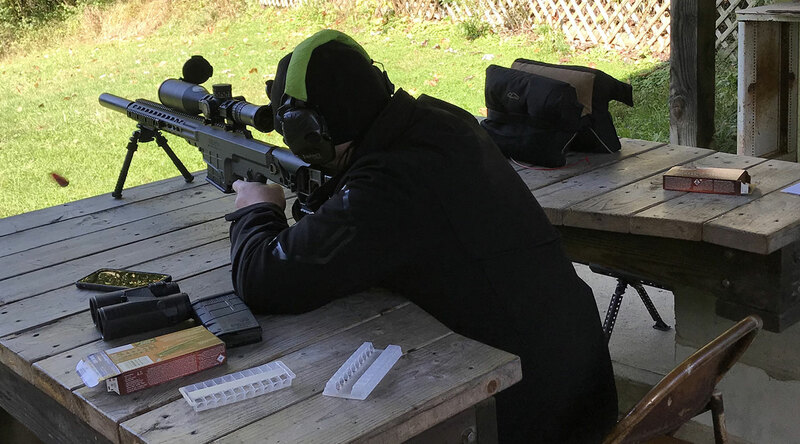 Barrett was busy, as many wanted to fire its suppressed MRAD rifle. Unfortunately, I didn’t have a chance to try it, but inventor/engineer, Chris Barrett, son of company founder Ronnie Barrett, was on site to answer questions. 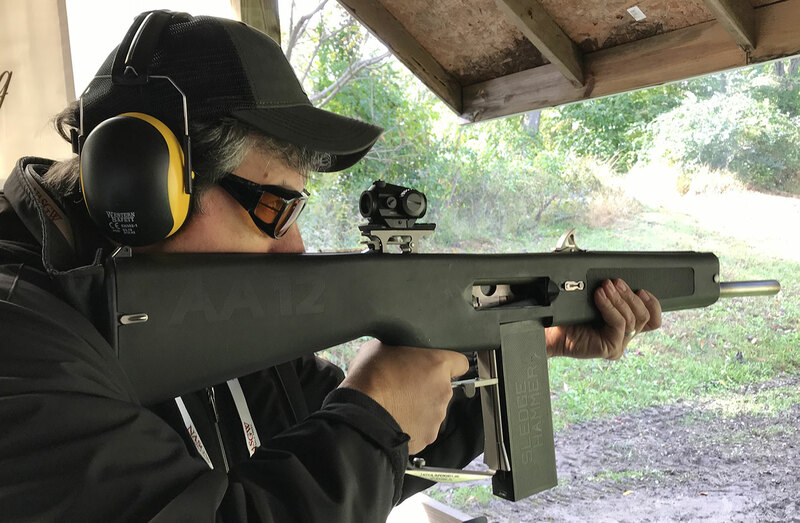 The MRAD is picking up a lot of steam in the bolt-action world, and that’s no surprise due to the high quality of firearms manufactured by Barrett for almost 40 years. Look for a future article in Firearms News by former Green Beret JD Morris, who will be reviewing the MRAD. 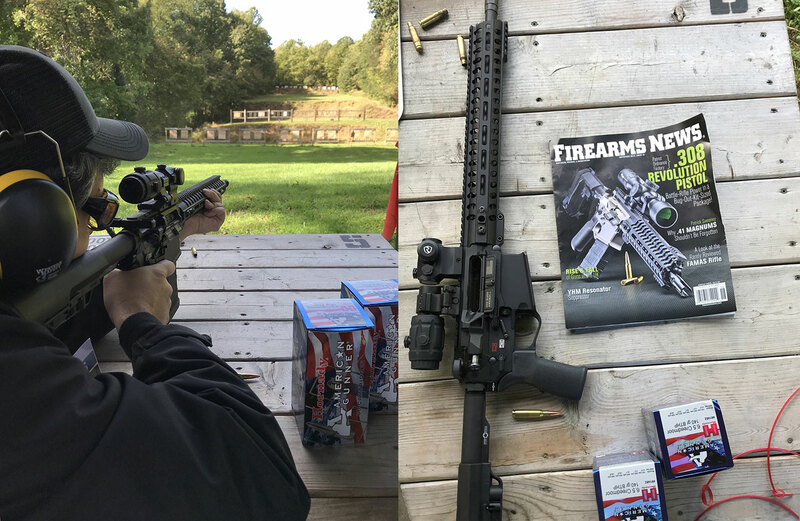 MKS Supply’s reps were at the range with the two big brands they represent. 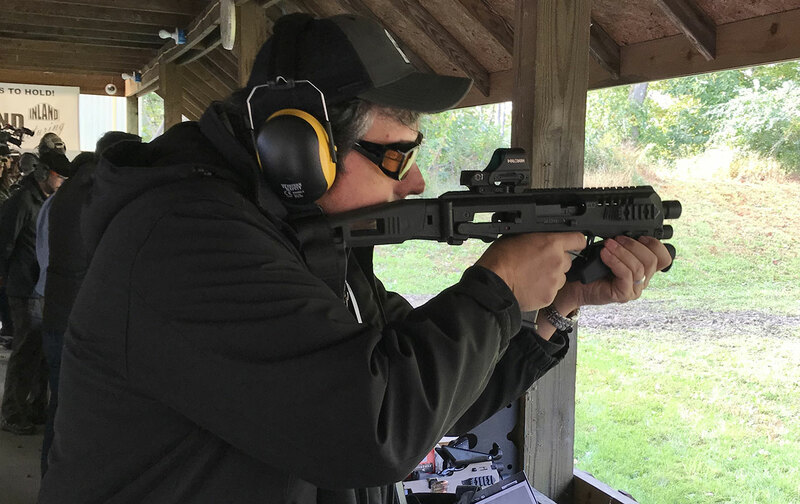 Hi-Point had it's great and very affordable pistols and carbines and Ron Norton of Inland had his new take on the M1 Carbine called the IMP, in pistol form. 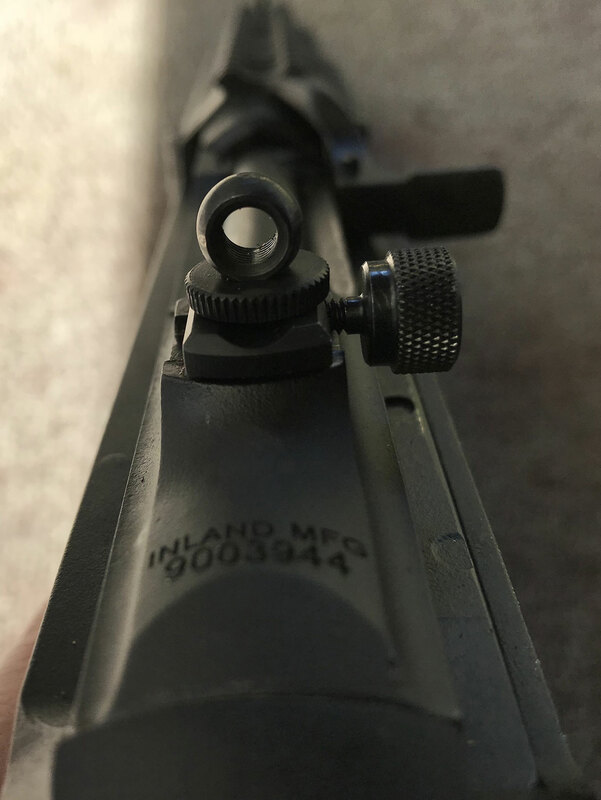 Ron also showed his new, but vintage-looking, rear sight, which is low profile like the early M1 Carbine sights, except that this one is adjustable! ARMSCOR had it's semi-auto, M-16-looking, VR60 12-gauge shotgun available to shoot. If you are looking for something a little more exciting to hunt with this fall, instead of grandpa’s “Elmer Fudd gun” then you should check out the VR60, which is available in black, brown, and gray. It can even chamber 3-inch loads! Well, that about wraps it up. I missed a few companies at the range but will make a note to check them out at SHOT Show 2019. For more information about NASGW, visit NASGW.org.